Many direct sellers (myself included!) love online Facebook parties to reach new customers and expand their warm network. I have had my fair share of Facebook parties and they have been a huge success! Following a proven Facebook method, engagement amongst the guests was up, sales increased, and I always had at least 1 if not 3 future parties booked. The thing is, Facebook parties take the time to plan, time to schedule, and time to execute. So, I decided to do a little experiment. I made it my mission to stay active with Origami Owl without doing any Facebook parties. Did I succeed? Let’s find out! Without Facebook parties, I needed to focus on the 2 platforms that increased exposure to my Origami Owl business website and its products. I’ve said many many times that I LOVE Pinterest! It is my favorite social media platform for my Origami Owl business and my blog. When I talk to others about using Pinterest for my direct sales business, I am always asked HOW do you do it? Pinterest is usually the place where most users pin visually appealing family-friendly recipes or find ideas for their kid’s birthday party. In my case, I use my Pinterest account strategically to attract my ideal customer and follower. By creating a profile that showcases boards that people are searching for, I gain new followers each day. Free Direct Sales Instagram Tool to Grow Your Business: All About Planoly! I also make sure I’m creating appealing Pinterest pins and connecting them to my Origami Owl business website so that when they are clicked, the person lands on my replicated website. If you would love to know how easy it is to do this, visit here to gain access to my Direct Sellers Toolbox. I made a video showing just how easy it is to upload your own original pins to Pinterest. Another key thing that happens when someone clicks on your pins is a “cookie” is then placed on the browser. Some cookies stick around 30 days or more. Another way to make sure your original pins get in front of a wide audience is to join Group Pinterest Boards. Many of my Origami Owl pins have been repinned hundreds of times over all because of key Pinterest Group Boards that I collaborate on. The more boards you are a part of, the more Pinterest users that see your pins. It’s a lot to take in, and this time last year, I wasn’t even ON Pinterest. I admit, Pinterest was a platform I did not “get” until I invested in a step by step training. It blew my mind just how easy it was to use Pinterest for my Origami Owl business and it is something you could be doing right now as well. Pinterest has a powerful compound effect. The time and work you put into the platform from the beginning will forever be there and over time, your pins will continue to get fresh eyes which equal more customers and sales. I’m passionate about blogging and my main blog is right here at ForeverSparkly.com. My mission is to write for the direct sales community as a whole. To help as many people as possible with their direct sales goals. There is not enough time to create another website completely devoted to my Origami Owl business. That is where Sassy Direct and its micro-blogging platform come into play. Sassy Direct is a brand new online directory for direct sellers and small business owners. The premium level membership gives you access to a fully loaded profile. Events, Photo Albums, Videos, Reviews, and my favorite aspect, the micro-blog. What exactly is a micro-blog? Think of it as a fully functioning blogging platform where all you need to do is provide the content and images. That’s it! Just like my Foreversparkly.com blog, I create content specific to my Origami Owl business and through that channel, I am able to expand my customer base and get some really great feedback from my customers. Another piece of the puzzle here is Sassy Direct Premium Members have the opportunity to contribute to the Sassy Direct Group Board. More visibility, increased exposure, and passive income sales. Interested in becoming a Sassy Direct Premium Member? Sign up and use code SPARKLY20YEAR for 20% off a 6-month or 12-month subscription! So through all of this, I have been focusing on my blog, micro-blog, and Pinterest. I am happy to say the hard work is paying off. Each month in 2017 and into 2018 I made sales just from Pinterest and Sassy Direct and gained team members as well. Total sales for January 2018 from Pinterest and Sassy Direct…$824.62! I am insanely proud of those numbers and I had to come and tell all of you about it! Think about your goals and how you will reach them. 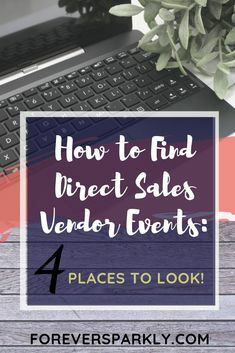 The last few months have shown me that it really is possible to succeed in direct sales utilizing Pinterest and platforms like Sassy Direct. I’m wondering what your thoughts are! Comment below or send me a message! Be sure to take a peek at the Pinterest training that taught me exactly how to do this! Then follow me here to read all about Sassy Direct. The perfect place to start blogging for your direct sales business! Click To Purchase Winning with Pinterest! Grow your direct sales business with Pinterest! Click to purchase Sassy Suite's Winning with Pinterest training. Pinterest is a powerful search engine and using it correctly can result in growing your direct sales Facebook Groups, sales, and new recruits! Step-by-step you learn exactly how to use Pinterest for your direct sales business. Click to Win With Pinterest! After implementing this training, I am able to stay active with Origami Owl just on Pinterest sales alone! Great article Kristy – and super inspiring! You’ve motivated me to dust the cobwebs off my Pinterest page! You have great tips on here. I will be sharing with my direct sales friends. Fabulous, Becky! I’m happy to hear this post resonated with you. With the introduction of ads in Facebook Groups and the things direct sellers need to do to stay out of Facebook jail, it helps to think of alternative ways to grow your direct sales business! Random sales are the best! Especially when you are seeing results from work you’ve done months ago. It feels good to know that all of the hard work we do eventually pays off. It just takes time but patience and persistence helps so much. #Pinterest has been one of my main traffic sources of traffic and sales. How do you feel about the new LinkedIn for networking? I just started using it this week and I’m loving the newsfeed. There isn’t any junk or clutter, just real people who love to collaborate and help each other. Ooh and I already made my first sale on LI so it’s definitely one to try getting into. Congrats Mellisa on your LinkedIn purchase! I have not ventured into the realm of LinkedIn only because my ideal customer would not be going there. But, it may be in my future plans if I intend on sharing my own products or services. You are right, Pinterest is a long-term game for sure!